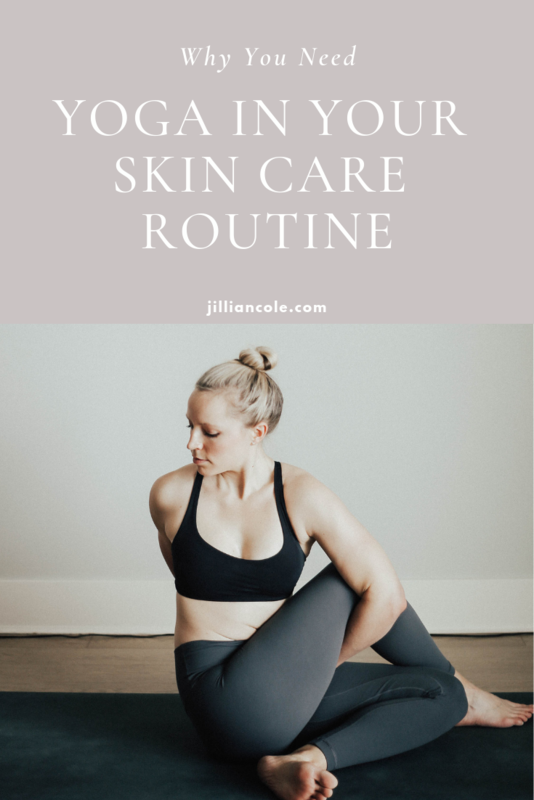 Yoga and Your Skin Care Routine — Cole Wellness Co.
I’ve always had a hard time trying to figure out how to explain why yoga is SO incredible for your skin health. At first I didn’t even put the two together, until I started noticing the improvements in my own skin after taking up a regular yoga practice. My skin was more clear, more luminous (don’t you just LOVE that word?!). People started remarking on how healthy my skin looked which was TOTALLY new for me after having struggled with acne since 13 years old. I had never had people remark on my skin and it had always been a major element of self-consciousness for me. I mean, it wasn’t just the yoga that was making an impact. I had figured out a few other things that were also causing my skin to keep flaring up. But just as anything, healing doesn’t just happen with changing one thing or adding in one supplement or medication. Healing is multifaceted. Healing doesn’t just happen with changing one thing or adding in one supplement or medication. Healing is multifaceted. When I first started developing online programs, I knew I wanted to help people improve their skin health. I also wanted to guide people on a yoga journey. But I couldn’t figure out how to connect the two. I think when many of us think of yoga, we think more about the fitness aspect of it, the body toning and weight loss, especially when a yoga regimen is tied in with a nutrition plan. Most of the online programs out there right now are that same model - eat this meal plan and do this fitness routine and you’ll lose weight, or get fit or whatever. That’s great. Then when you look at the world of online programs for skin health, clearing up acne or anti-aging plans, it’s all about what you apply topically to your skin and what you eat. Almost never is it about making lifestyle changes like integrating a regular yoga routine. You see why I was getting confused? I just couldn’t figure out how to make the connection between healthy skin and yoga more mainstream so it made sense to more people. I always kinda felt like maybe it needed to be one, or the other but not both together. We live in a world where we want quick fixes and easy outs. Unfortunately, there ain’t nothing quick and easy about making impactful transformations in your life. More often than not, there will be tears, doubt and some struggle. But you know what, that’s what makes the whole process worth it. Clear, radiant skin isn’t JUST about clear, radiant skin. In fact it’s far deeper than that. It’s about gaining confidence, evoking self care and understanding your WORTH. It’s about improving your energy and motivation, remedying those annoying gut issues and developing an appreciation for yourself and the life you live. So yes, I, to my core, believe that yoga is a very important part of your skin healing journey. Just as must as it’s a part of your fitness journey, your stress management journey, your soul searching journey. Healing starts with the small actions that we choose to do in our day to day lives. Gaining clear skin and keeping it that way means making impactful changes - mind, body and soul.